The challenge in May was to upload 20 no-X, complete, minimum 15-minute checklists with the winner being someone (chosen at random) who’s uploaded at least one list containing rich media. 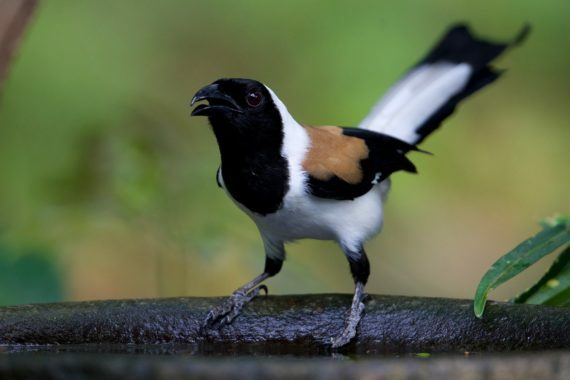 June welcomes the annual monsoon, often associated with the arrival of the Pied Cuckoo – a bird which migrates from Africa to India in time for the rains. So far, the data on eBird confirms the supposition of Pied Cuckoos arriving in numbers from June onwards (see map below) and the picture would become clearer once more records start coming in. Getting three birdlists with at least one of these cuckoos (out of at least 20 birdlists) shouldn’t be so hard, given that some of these species are very common and most of them very vocal in this season. But why are all these cuckoos active now? 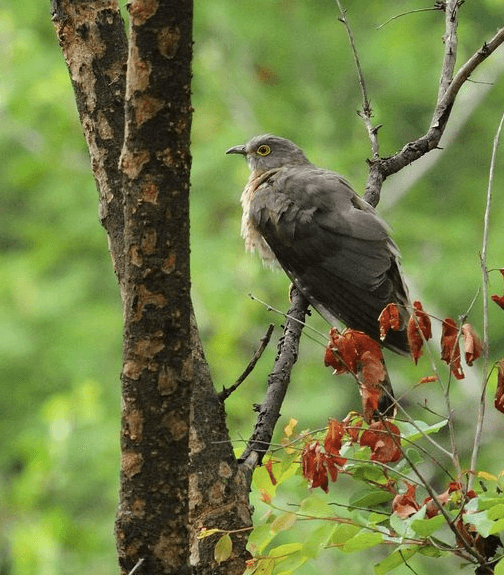 Common Hawk-cuckoo © Albin Jacob; from this checklist that also features 4 other Cuckoo species. As we know, cuckoos are brood parasites and the females lay their eggs in the nests of other birds. Hence, when cuckoo are active, it is safe to assume that the bird species they parasite upon are breeding! Please do help document the locations and timing of breeding of birds by adding a suitable ‘breeding code’ whenever you see any signs of breeding: from ‘Singing male’ (indicating possible breeding) to ‘Nest with young’ (indicating confirmed breeding). More information on these breeding codes is available at this help page; and you can enter the appropriate code next to each species in your eBird list by clicking on ‘Add details’ and then use the ‘Breeding code’ drop-down menu. Please upload all your lists by 5 July so that we can announce the results the next day.